Snow keeps falling, temperatures keep dropping, snacks keep getting eaten. It’s more of the same. But it’s all worth it. See it’s just twelve more days until I will once again snuggle up in bed for hours on end to watch the third season of House of Cards. We are finally close. Plus the show looks like it might be really strong this year. Every new trailer or teaser gets me excited all over again. Today brought another teaser, this time a thirty second spot that shows the potentially crumbling relationship of Claire and Frank Underwood. Did I get overwhelmingly excited about this? Of course I did. Get really, really excited – it’s almost time. ← I’m A Bear, Etc. Reblogged this on Infinite Passion. Conner! 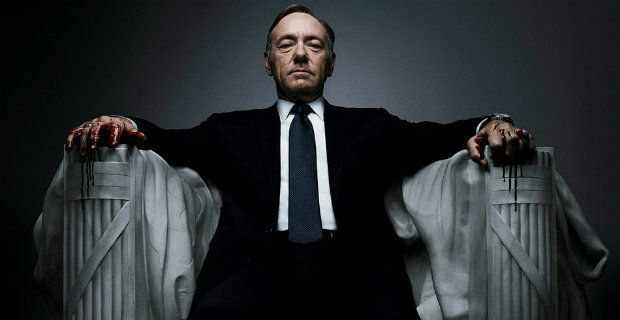 Season 3 of House Of Cards looks like the most thrilling season from the short teaser.